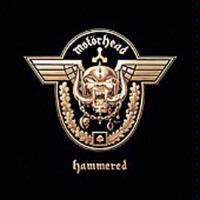 Just when you thought it was time to stick a fork in Motörhead they come roaring back with "Hammered", and again we doubting Thomases must bow our heads in shame. The venerable band's previous effort "We Are Motörhead" was pretty generic stuff, sounding tired and under-produced, but "Hammered" corrects those faults and gives us a vibrant, meaty-sounding slab of head-crushing rock bristling with all the Motörhead trademarks. This record doesn't re-invent the wheel, that's for sure, but it seems that more time and care has been put into the song-writing. There are memorable hooks a-plenty and the tempo is not quite so frantic as the last record, letting the songs breath more. Lyrically, Lemmy has never been more caustic or on the mark. For example, witness these telling lines from "No Remorse": "Repent, ye Fool, God Will Hear, Christmas Carol, Midnight Clear, Otherwise, pits of fire, Punishment for base desire, Satan awaits, goatee beard, Long old tail, nasty spear, If you believe, these tales I tell, Then you deserve to Burn In Hell!" This starts the record in atypical fashion, with one of the slower cuts on the record. Nonetheless, it is a very powerful mid-tempo cruncher with a melodic chorus and tons of screaming lead guitar from Phil Campbell, who puts in a stellar performance throughout. This one is pretty heavy stuff, with a verse riff that bounces along in a menacing kind of way. The chorus riff is super-crunchy. This is a good track. The pace picks up here with a very typical "fast" Motörhead song. It doesn't break any new ground but packs a good kick. This tune offers some moderately fast heaviness with good riffing. It's a very bitter condemnation of war throughout the ages with pointed lyrics. This is the token Motörhead "rock and roll" track that hearkens back to the 50's rock sound that the band loves so much. One guitar hook reminds me quite a bit of AC/DC's "High Voltage", and there's also some keyboard playing to round it out. The main riff to this is nicked almost exactly from MC5's classic "Kick Out the Jams". If you can overlook that, it's a good, quick hard-rocking cut. Very heavy and down-tuned guitar kicks this one off. It's certainly one of the heaviest tracks on the record. No, not a cover of the old Kiss song, this is one of the most enjoyable songs here. It's got more of a bluesy, commercial feel to it, but it's still very hard-driving. Very funny lyrics are on show: "You know she's a classic beauty, She don't want to fight, She likes a man who's standing tall, And I stood up, alright". This is really brutal stuff and surely one of the heaviest tracks Motörhead has ever done. Very ominous mid-paced riffing provides the backdrop to Lemmy's vicious condemnation of religion. The chorus is fairly clunky, but that's only a minor impediment. This is all-out aggressive speed metal, totally driven by Lemmy's unique bass sound. The lyrics describe the gruesome activities of a serial killer: "All blood is his to drink, he takes his fill and more, face and hands all red, drown in sweet, sweet gore". I can't figure out why this brief spoken-word piece wasn't the intro to "Red Raw" instead of following it. It's Lemmy reading a chilling verse from the point of view of a serial killer. He's joined on the reading by WWF wrestler Triple H.
Speaking of HHH, this is the theme music Motörhead provided for his WWF ring entrances. It's cool when used as ring entrance music but listening to it here, it's a second rate track, and there's some real bad keyboard accompaniment on it. 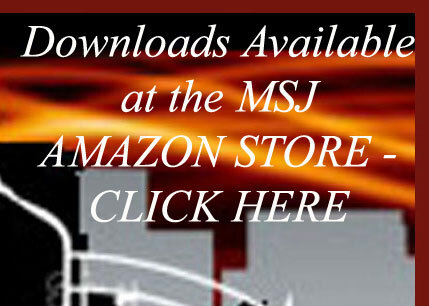 This will be a bonus track on most editions of the CD. Another bonus track, this is a live version of the title track from one of the band's past albums.